As photography became more widely available, scientists discovered new ways to use photos to advance their work. 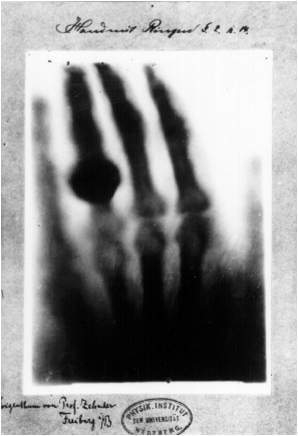 One example is the X-Ray, which was first discovered in 1896 by Wilhelm Conrad Röntgen (1845-1923). In recognition of his discovery, Röntgen received the first Nobel Prize in Physics in 1901. Röntgen, Wilhelm C. X-Ray of the Hand of Anna Berthe Röntgen – 1895. Wikimedia Commons. Accessed: 22 July 2010.